This weekend was such a blast! Hubs got called to work last minute which was no fun but we dressed Andi up a tad earlier so he could see her all bunny like! Although I didn't take her trick or treating this year, we did go by a haunted woods/house that our local fire department was putting on. Don't worry, my aunt held onto Andi while Mom and I went through it. My Dad was actually a part of it this year! So fun! Afterwards, it was already way later than Miss A's bed time and my Dad was staying with his Dad that night so it was just Mom at the house. Since Seth was working, I decided to put Miss Andi down and stay the night with Mama. We finished off a bottle of wine, watched the Sixth Sense (cried the whole time, once you have children - how heartbreaking is that darn movie?) and then we watched Scream from start to finish in honor of Halloween. Ha! Mom had never seen it and it was the only thing on the movie channels with no commercials. Sunday we lounged, watched way too much Flea Market Flip and had Sunday dinner with the family. Overall it was a great, relaxing Halloween weekend! Today I'm awaiting a preview to our family portrait sesh! 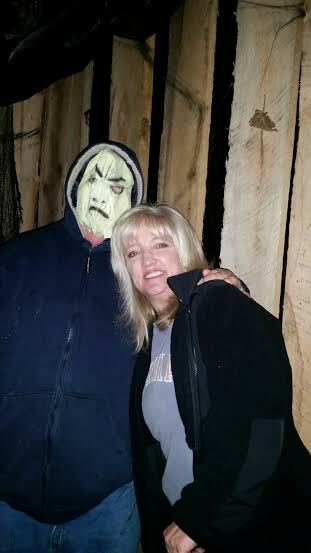 I hope everyone had a fabulous and safe Halloween weekend! Happy November ya'll! 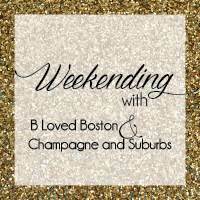 Linking up with B and Meghan for Weekending! I'm the white bunny back in 1987! haha! Looks like a fun weekend. 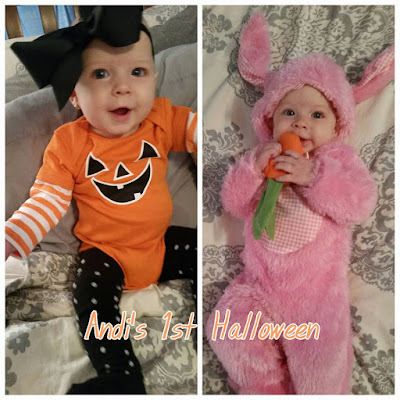 I can't with how cute lil Andi looks in her outfit, a pink rabbit, love it! 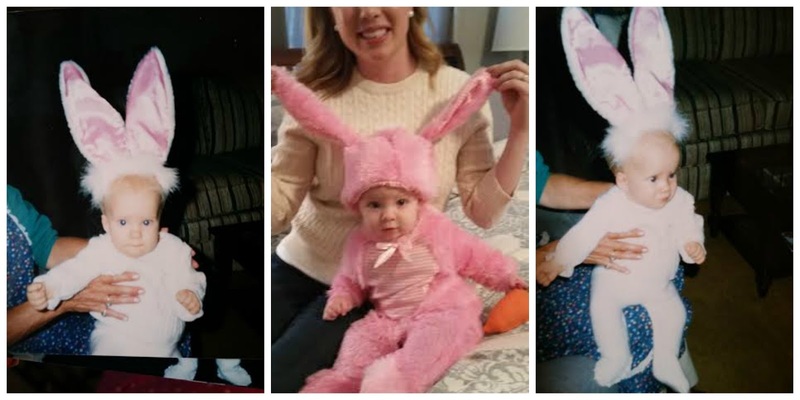 Andi was, and still is, adorable as ever in that little bunny costume. Love that you have the photo of yourself to compare at that age--so fun! Oh Little Andi was the cutest bunny! Such a cute little bunny! And your bunny ears... haha how did you even hold your head up? So cute! oh my gosh how precious is your little bunny!? too cute! 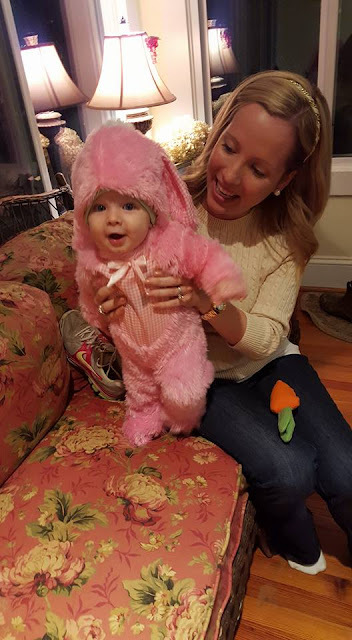 Your little girl is so precious as a bunny! And I loved your throwback pictures of yourself for comparison! 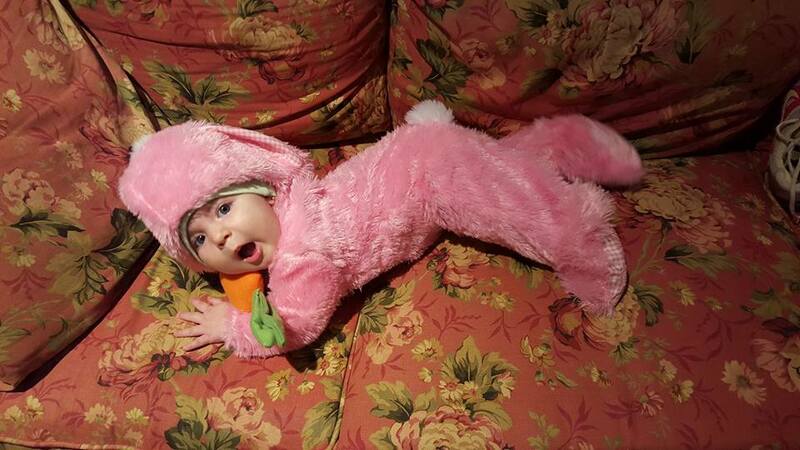 Oh my goodness that bunny costume is so sweet! Cutest little bunny!! Glad you got to spend some quality time with your mama. 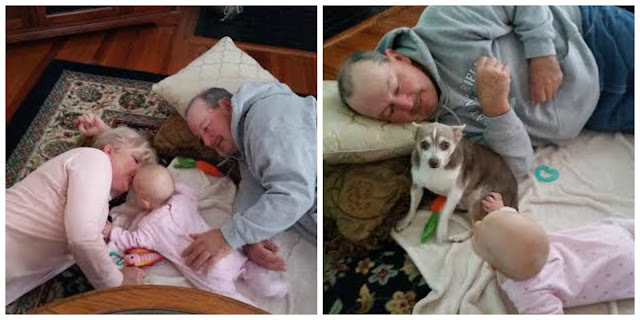 Oh my goodness, how sweet!!!! I love her in the bunny costume! Fun that you got to spend time with your parents too. Looks like it was a great weekend, even though your hubby had to go into work. 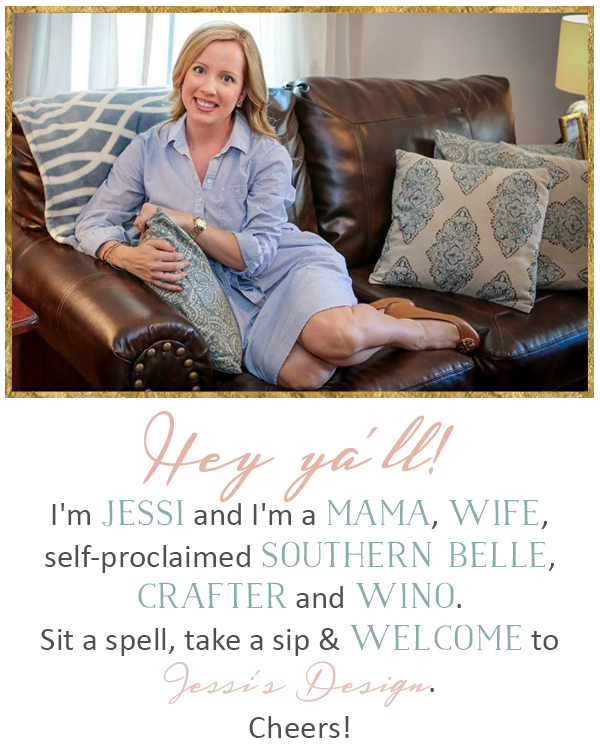 cant wait to see your cute family pics! and your little bunny!! to die for. adorable! Love that you were both bunnies!!! So, so precious! I am loving everyone's family portraits. We have ours scheduled for the middle of this week and can't wait! Bahaha ha! Love the throw back of you! So cute! Andi is the cutest bunny I ever seen! Glad you had a fun weekend despite Seth working! Can't wait to see the family pics! awwww how cute are the little babes??? i love halloween and seeing how the kiddies are dressed. awwwww how cute is she?! and look at you back in 1987, love it!